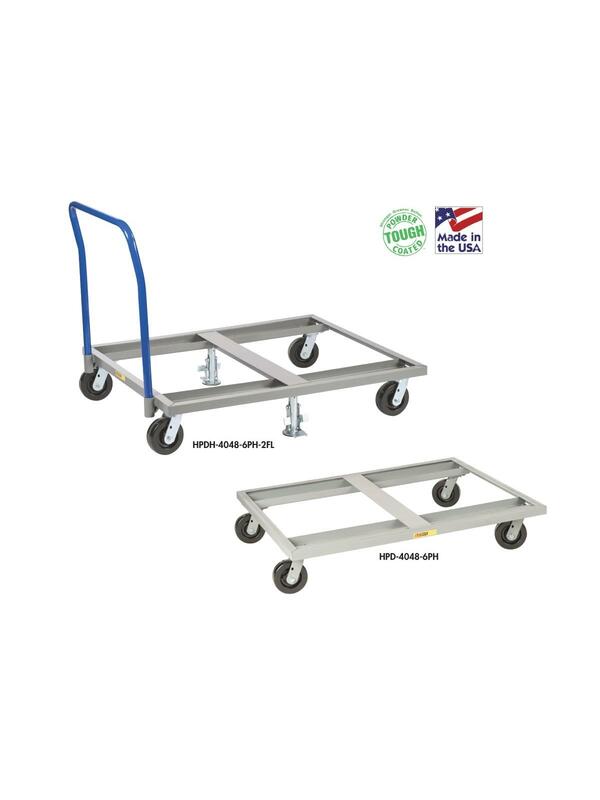 Convenient, easy rolling, maneuverability for any pallet. 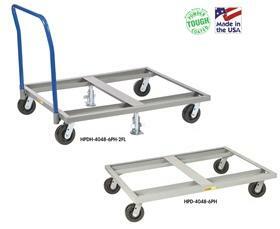 Has 4 swivel casters with non-marking 6" x 2" phenolic wheels and has a 3600-lbs. capacity. Welded steel construction for durability and strength. Ships set up and ready for immediate use. Double Floor Lock option prevents unwanted movement. 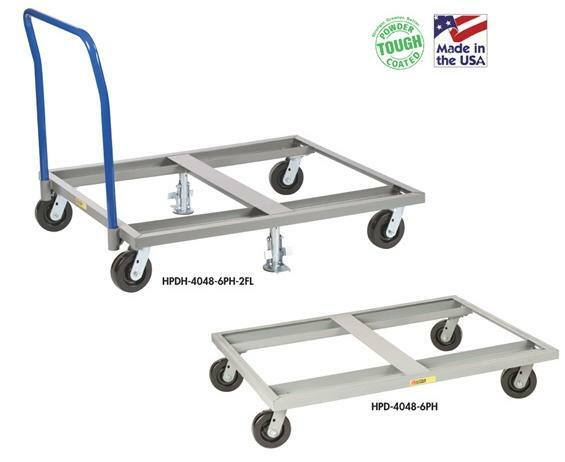 Available with 36" wide removable pushbar handle. FOB Shipping Point. W x L x H 40 x 48 x 9" 42 x 48 x 9" 48 x 48 x 9"